OK, in the UK right now, it might be a little bit too hot (very unusual) to think about films but by August this may all have changed. And hardened film buffs carry on film-watching regardless. The Lone Ranger – starring Johnny Depp and Armie Hammer – is finally, after many delays, incidents and an accident, due to charge into UK cinemas on 9 August. The challenge with a remake like this is to resonate with the original much loved stories while bringing something new and modern to the film. Time, then, for a look back to the original. The Lone Ranger was an early TV series in the 1950s, about an unnamed, masked Texas Ranger in the American Old West, who galloped about on his horse Silver, righting injustices with the aid of his wise but laconic Native American assistant, Tonto. Silver was introduced to the audience at the beginning of each episode as ‘A fiery horse with the speed of light!’ At the end, the Lone Ranger would famously say, ‘Hi-Yo, Silver, away!’ (often misheard by the audience as ‘Hi-Ho’), as they galloped off. The series theme tune was the ‘cavalry charge’ finale of Rossini’s William Tell overture. The Lone Ranger had well over two hundred episodes and ran from 1949 to 1961, including re-runs. It successfully made the leap from black and white to colour TV in 1956. The original Silver was a magnificent horse, white all over except for a couple of black dots around one eye. So what about the remake? The film dramatically reveals much of the back story to the old series: why the lone ranger was “lone” and why he wears a mask. Importantly, the film’s director Gore Verbinski has taken a similar line to Steven Spielberg’s in War Horse: he’s gone for real stunts wherever possible and spectacular real locations instead of taking the easy way out with CGI. From the trailers, it looks like this has really paid off in terms of the film’s excitement factor. 2013’s Silver, is also a fabulous white horse – but this one even gallops inside a train. Check out the trailers. On YouTube there’s even a behind-the-scenes trailer which shows the sheer dangers involved in shooting hair-raising action sequences. For example, there’s some action set on a rickety scaffolding on top of one of the rocky buttes in Monument Valley. There’s also has a clip of Johnny Depp’s (real and unscheduled) dramatic accident as he falls off his horse and gets dragged. Fast-moving, stunning Western locations – amazing train and horse scenes. Let’s hope the film lives up to its trailer hype. I’ll be going for the horse scenes anyhow. The seventeenth century was a scary time all round. Many people genuinely believed in witchcraft, the supernatural and a very real presence of the devil. At least this gave them an explanation for wars, freak weather, crop failures and cattle deaths. And others used accusations of witchcraft and devils to settle old scores. You needed have to be a woman to be accused of witchcraft either (though it did help). The seventeenth century was also the time of the on-off English Civil War, which drove families and neighbours to kill and betray each other. Throw hallucinogens (such as mushroom dust) into this mix – as Ben Wheatley’s “A Field in England” does – and you have the perfect ingredients for a very powerful historical thriller. “A Field in England” is being released in different formats simultaneously – DVD, TV (Film4) and cinema. Wikipedia says there’s even a specially brewed (Weltons) slow-pour beer to go with it – tagline “Open Up and Let the Devil In.” Sounds like a really good night in (or out) to me…. Think you might become hooked on the seventeenth century? 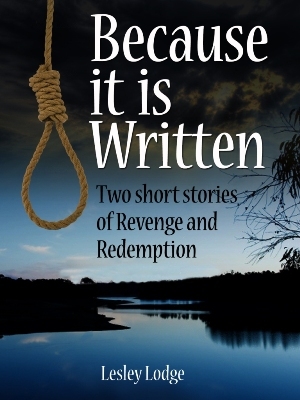 “Because it is Written” is my short story set in seventeenth century England about witchcraft and a blacksmith’s on a mission for revenge.